Take advantage of this stunning newly renovated Lakefront townhome within the desirable private enclave neighborhood of Cashelmara. This contemporary modern unit has been updated from top to bottom featuring a spacious open concept floorpan of living room, dining room and kitchen with floor-to-ceiling glass overlooking the beautifully manicured Cashelmara grounds and panoramic views of Lake Erie. 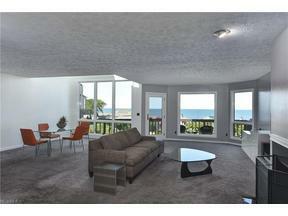 The living room features a fireplace, newer skylights and walls of windows with stunning views of Lake Erie. The kitchen eat-in boasts high end modern kitchen cabinets, stainless steel appliances and gorgeous countertops. The master bedroom features a spa-like master bath that was just recently completed in 2018. 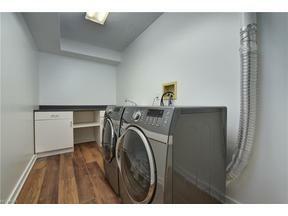 Two more spacious bedrooms and another renovated full bath complete the second floor. The walk-out lower level was just finished in the spring of 2018 and features new Cortec flooring. The lower level has a large family room or recreation room with sliding glass doors leading out into your own private patio. (One of only a few Cashelmara residences that feature two walk out decks and patios). Completing the lower level is a 4th bedroom, laundry room and a full bath. The family friendly Cashelmara community hosts events during the year—a great way to meet your neighbors while connect with the lakeside community of Bay Village and Rocky River.